If your water is cloudy, tastes metallic or unpleasant, smells bad or leaves a thick, scaly film on bathtub and shower walls, your family could benefit from a water filter. There are more than 2100 known drinking water contaminants that may be present in tap water, including several known poisons. Clean, filtered water helps protect your family from disease. Pure Water Solutions specializes in low cost, easy-to-maintaintap and well water filtration systems for both residential and commercial customers. Remove virtually any bacterial and mineral contaminants like: Arsenic, Iron, Nitrate, Hardness, bacteria, salt, hydrogen sulfide, boron, iron, bacteria, aluminum, lead, fluoride, turbidity, copper, chlorides, sulfates, pesticides, metals, radiation and fertilizers, etc. Pure Water Solutions is an Oregon licensed contractor and a local Rogue Valley business – not a franchise. The team at Pure Water Solutions has the knowledge and the experience to assess your situation and determine your water filter options. We are dedicated to providing exceptional customer service and will address all of your questions and concerns. 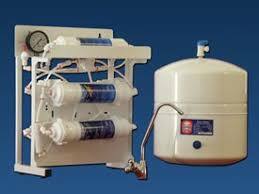 Pure Water Solutions has a high-quality and cost-effective filtering solution for you! Even if you have problems with odor, hard or soft water, salty water, high PH / low PH, bad taste / smell, cloudy – stains, chemicals, coliform, corrosion, etc, we will have a high value low cost solution that will provide pure water and good health for you and your families.